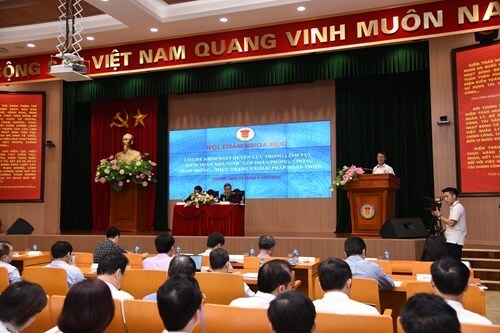 Hanoi (VNA) – The State Audit is one of the direct agencies responsible for detecting and handling corruption, Deputy Auditor General Dang The Vinh said at a workshop in Hanoi on April 11. He said the control of power is difficult, but it must be done to prevent corruption. The official suggested strictly restricting state power by the Constitution and law and increasing mutual control among state agencies, in addition to improving the efficiency of inspections and selecting highly-qualified supervisors. The workshop aims to seek solutions to improve the quality of auditing and help the Party, Government and localities to control power against corruption. At the function, participants discussed the role of the State Audit in power control, contributing to the prevention of corruption. They also touched upon the agency’s execution of the Party’s regulations, and shared international experience in the field.